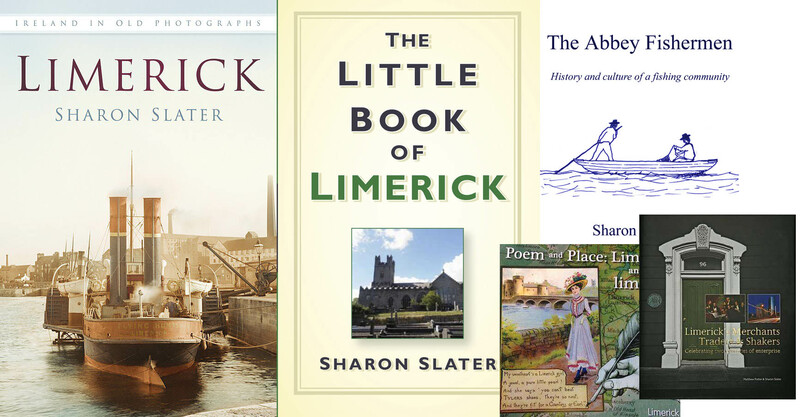 Limerick has a wide and varied history. We have compiled a series of our “Did you know” facts which we regularly post to our Facebook Page and Twitter Account. Some of the facts below are humorous, some are tragic but they all are interesting in their own right. Read, Tell, Remember. The grandfather of English poet and novelist Robert Graves was the Charles Graves, Bishop of Limerick for 33 years and is buried in St. Mary’s Cathedral. One of the epitaphs on his headstone was written by Douglas Hyde. In 1892 after spending £35,000 on new water pipes in the city it was discovered on turning the taps that eels were making their way into the kitchens. 1869 : Mary Williams was sentenced to 14 days hard labour in Limerick for Blasphemy. 10 places in America called Limerick. 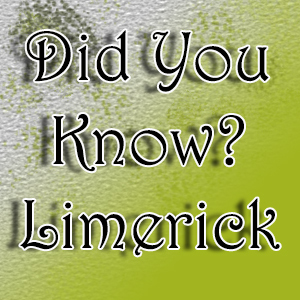 In 1871, there were 152,583 people living in 26,345 houses in Limerick city and county. Before moving to a purpose built chapel in 1748, St. Mary’s Roman Catholic community worshipped in a Malt House. On 18 December 1835, 15 year old Limerick boy Patrick O’Brien met his fate by being eaten by the crew of the “Francis Spaight”. In 1890 an eleven year old Limerick boy named Timothy Walters was a stowaway on board the “City of Rome” to New York after running away to Cork. In 1963 JFK visited Limerick and gave a speech at the Greenpark Racecourse.